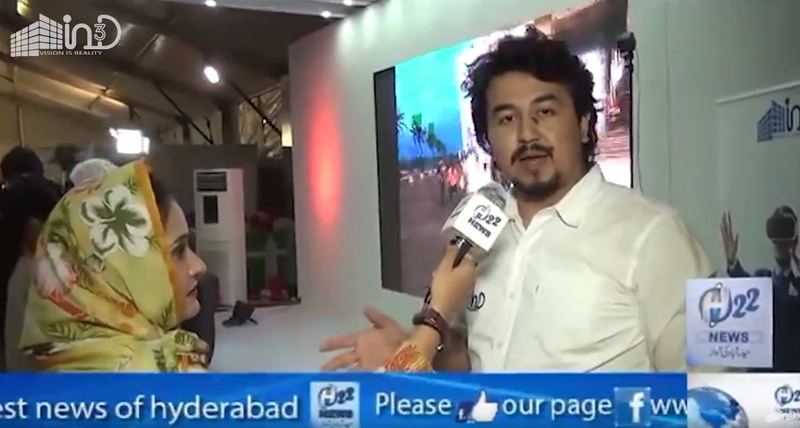 In3D was present at the first ever real-estate exhibition in Hyderabad. Our flagship project Abdullah Mall and Residencia attracted a lot of attention amongst exhibitors and visitors. A local news channel approaches one of our Team members, Hussain Ali, for an interview.